Whose woods are these I think I know. . . . I just wanted to share this week’s planting project, a centerpiece for our holiday open house buffet table, before it crumbles — or actually turns green. 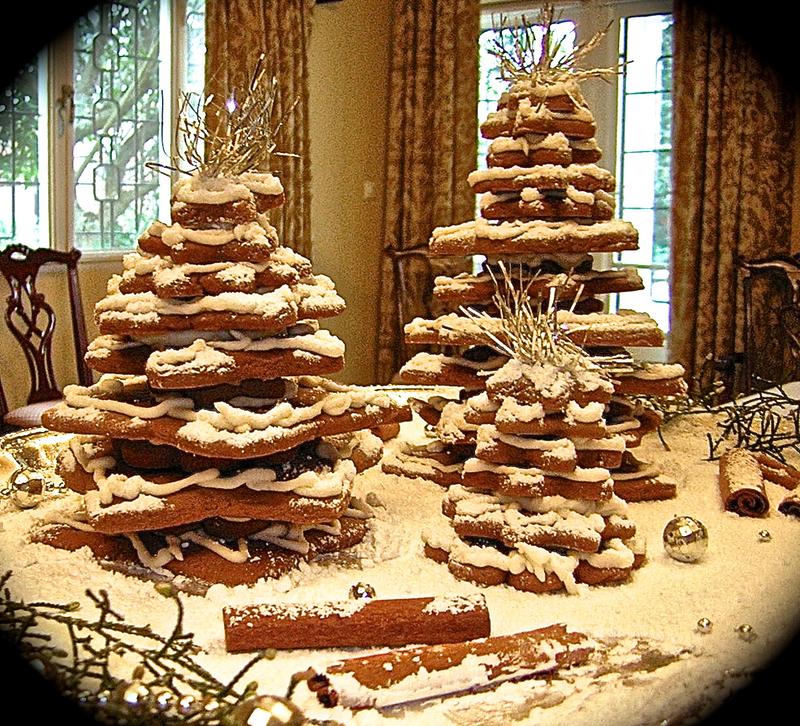 Pictures of many similar trees and links to recipes are here. I like it. Knowing where you are it sets off a kind of cognitive resonance, echoes in the mind. It’s not much like my actual outdoors, that’s for sure. Right now, it’s about as green as it can get here, at the end of the short rainy season. We miss you all. Hope everyone’s travels come together at the right place, right time today. The ginger cookies definitely tasted that way. (Our cook made them — I just stacked them and sifted the powdered sugar.) There’s a little dragged place in the snow where a child at our party must have given into temptation before his/her mom looked. Linda, I hope you and your family have a very happy Christmas and New Year.